Is it time for E3 already? Yes, time has flown with wanton abandon and we’re now building up for the biggest gaming expo of the year in June. If you’re unfamiliar with the pomp and grandeur of it all, E3 (Electronic Entertainment Expo) sees every major platform holder in the world of consoles (and plenty of developers from the PC side of things, too) descend on the Los Angeles Convention Center to show off previously announced games and unveil previously unknown ones. Every year sees a slew of surprise reveals that almost always shake up the industry, and social media tends to go into meltdown at least two or three times before the week is out. So to get you in the mood (and to keep you firmly in the know), we’ve scoured every avenue to bring you all the important details in the run-up to the event itself. We've got total breakdowns of every major player, too, as well as details on all the juicy keynote events. E3 2018: what is it? 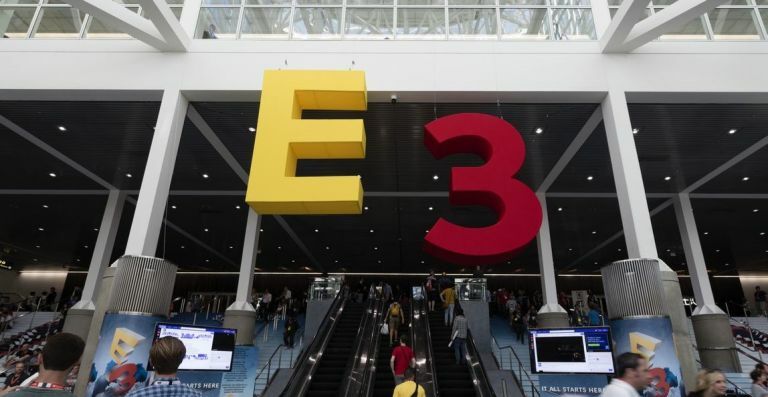 E3 (or the Electronic Entertainment Expo as it’s known to close friends and family) is the biggest gaming expo of the year. It’s open to the public and combines show floor demos of new games, and ‘keynotes’ where developers, publisher and platform holders show off their latest titles. E3 2018 takes place from 12th June to 14th June 2018 at the Los Angeles Convention Center in Los Angeles, California. The keynotes, however, take a few days earlier from 10th June to 12th June. When it comes to sports sims we’re guaranteed to hear more about FIFA 19, Madden 19 and NHL 19, as well as NBA Live 19. However, those are the games we know will grace the stage at some point, but what about the bigger projects in development across the publisher’s various studios? Anthem, the next triple-A project from Bioware, is expected to make a big splash. With its release date pushed to 2019, we’re hoping the Canadian developer has a proper gameplay demo showcasing more of its dynamic weather events, jetpack movement and four-player squad gameplay. Battlefield V, which was officially unveiled with its WW2 setting in May, will also likely feature prominently, with Swedish studio DICE on hand to show off its single-player campaign (something Call of Duty has dropped this year) as well as the greater focus on squad-based cooperation in multiplayer. Expect plenty of awkward YouTubers for this one. It feels like we say this every year, but Microsoft is going into E3 2018 in need of a real strong showing that’s heavy on the first-party exclusives. With God of War and Detroit: Become Human this year along, Sony is running riot with its own first-party titles so this is the time for the Big M to step up to the plate and deliver titles to sit alongside the likes of Sea of Thieves. While it’s comically taken a millennia for it even showcase new footage, expect Crackdown 3 to feature heavily in Microsoft’s keynote (with or without lots of mentions of ‘the cloud’). We’re also expecting to hear something about Halo 6 (it has been three years since Halo 5, and over a year since Halo Wars 2, after all). Even if it doesn’t get a Holiday 2018 release date (which it really should be given the platform’s exclusivity lineup this year), we’re hoping for some gameplay or, failing that, a Master Chief-focused cinematic with a subtitle reveal. With Forza’s mainline series having already received a recent outing, it falls to widely popular spin-off Forza Horizon to move its virtual festival to a new location for what is expected to be Forza Horizon 4. Given the time frame, it makes sense for developer Playground Games to showcase the title in the summer in time for a release later this year, but with rumours that the British studio may also be working on Fable 4, there’s a chance we may see one or both of these in June. Bethesda returns to E3 with another keynote, but what's the Beth be working on now? The publisher recently confirmed it's been working on Fallout 76, a prequel that follows the story of the mysterious Vault 76. Rumours suggest it could have some form of online connectivity, but we'll have to wait until E3 to learn what it's really all about. Of course, Bethesda could tease the proper follow-up to Skyrim, but it does seem unlikely considering its probably just going to big up Summerset, the latest big expansion for The Elder Scrolls Online (which is already live on PC and coming to consoles in June). Maybe the show will end with a tiny tease for TES6, but it feels like wishful thinking at this stage (despite it having been seven and a half years since Skyrim). Square Enix makes a return to the E3 keynote club for 2018, and we all know which game is going to take up the lion’s share of its presentation: Shadow of the Tomb Raider. We should be due a proper gameplay walkthrough (is due three months after E3), with a greater insight into how Eidos Montreal is wrapping up the Lara Croft origins story started by Crystal Dynamics back in 2012. It’s been almost 18 months since Square Enix announced its new multi-title deal with Marvel, with an untitled Avengers game revealed to be in the works from Crystal Dynamics. With everyone still hyped from Avengers: Infinity War, there’s never been a better time to at least drop some details and show Marvel can have as good a video game representation as DC. We should also be seeing a glimpse of Life is Strange 2 and an update on the Final Fantasy VII Remake. Ubisoft loves a good keynote, and is often good for the occasional shock reveal to spice up the usual Just Dance nonsense and ‘Hey, look more stuff for Rainbow Six: Siege’. But yes, you should expect more info on the new Just Dance, and almost certainly more info on the latest season of Rainbow Six: Siege (and potentially a new event). Because, Ubisoft. Outside of the usual, we expect The Crew 2 to have a decent slot - the game is due on 29 June, so Ubi will likely use this time to sell its open-world features, dynamic vehicle switching and co-op racing features. We might even get an update on Beyond Good & Evil 2 - Ubi are planning to conduct private demos for press, so we’re certainly expecting some form of presence on stage, even if it’s just an update. The Division 2, which was leaked and subsequently confirmed in May, will almost certainly feature on the Ubi show. The Division, much like Tom Clancy’s Wildlands, has proved a slow-burning success, so we’re excited to see how Massive Entertainment can improve on the PvP and PvE combat of a diseased, run-down take on Manhatten. For Honor’s latest season will also get some time on stage, as will psychedelic VR title Transference and pirate simulator Skull & Bones. The toys-to-life title Starlink: Battle for Atlus will also be making an appearance. Much like Ubisoft - and presumably, in an attempt to fight the leaks and spoilers that come thick and fast in the build-up to E3 itself - Sony has confirmed the key games it will be showcasing at the show this year. That’s not to say we won’t be getting anything new or surprising (we almost certainly will), but at least we know what to get excited about. So The Last of Us II is going to be the undead belle of the ball, with Naughty Dog likely set to bring a nice extended gameplay demo showcasing how its new foray into the fungal apocalypse differs from the 2013 original. Expect gore, tears and buckets of dread. Days Gone will keep the zombie train rolling, although another gameplay demo does feel a little overkill at this stage. Insomniac’s hotly-anticipated Spider-Man game is also slated for the show, and we’re excited to see more gameplay, hopefully highlighting its web-slinging mechanics, combat and an insight into how the Ratchet & Clank studio has injected its signature craziness into proceedings. We’ll also be seeing more of Sucker Punch’s Ghosts of Tsushima (including proper gameplay), as well as seeing more of the insane-looking Death Stranding from Hideo Kojima. Cyberpunk 2077 should appear at E3 2018 as well, and Sony's showcase seems a plausible place for CD Projekt Red to reveal it. Rounding off the console side of things, Nintendo will also be present at E3 2018, and announcing games in its own special way. We’re very likely to see Super Smash Bros. for Nintendo Switch, including proper gameplay footage and a glimpse at the roster (including, we hope, some of the special guests for this version). This set to be one of the biggest potential releases of the year so expect to play a big role in Ninty’s presence. The heavily rumoured Pokemon for Nintendo Switch game is also expected to play a pivotal roll in proceedings, marking the first time the series has graced Switch outside of Pokken Tournament DX. There’s also a chance we might see more of Bandai Namco’s Metroid Prime 4, although with those two big hitters on show, it’s likely Nintendo will keep that for a future Nintendo Direct. We should, hopefully, be seeing a little more of Yoshi for Nintendo Switch (and an actual title), since Switch could do with a few more first-party titles to combat the big hitters Sony has been knocking out of the park this year. However, it seems unlikely we’ll see Bayonetta 3. That seems likely to be held back for a Nintendo Direct, much like Metroid Prime 4.